Bidding process flowchart is easy to create and, because the shapes are simple and visual, they are easy to understand. A good flowchart tool is necessary. 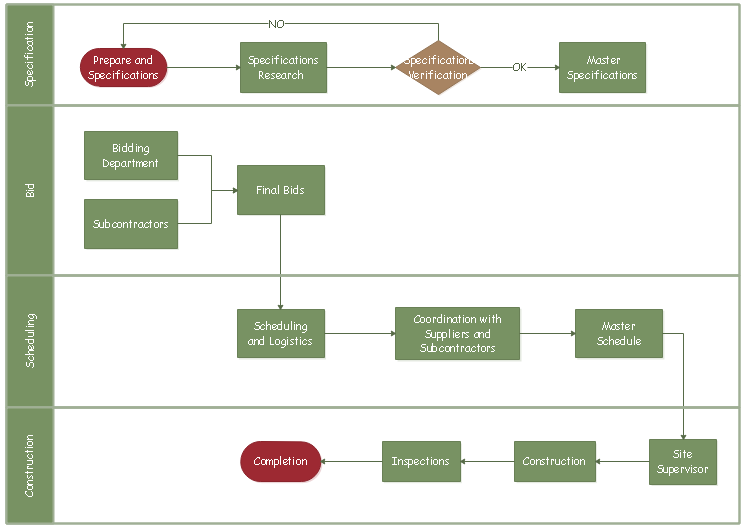 Construction Bid Process Flowchart for planning purposes, a good flowchart tool is necessary. The basic flowchart templates in flowchart maker comes with shapes that you can use to show many kinds of processes, and it is especially useful for showing bidding process flowchart shown in the following figure. When you construction the bid process flowchart, the basic flowchart shape represents a different step in a process. Whether you run a small business or a government project, you might engage in the bidding process regularly. 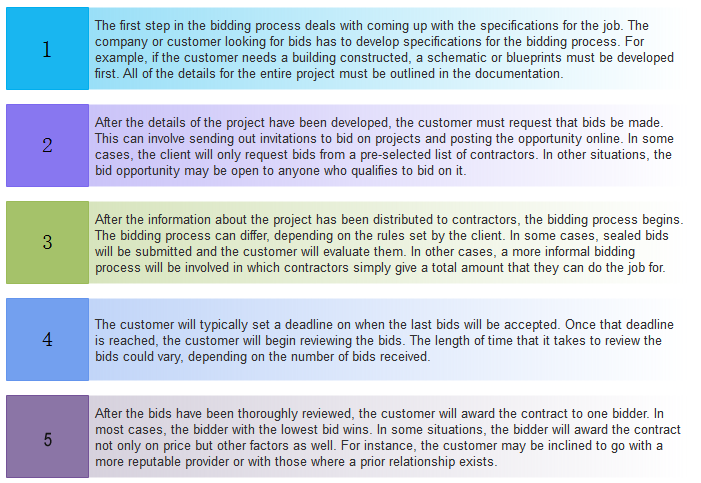 The following process flowchart shows the different phases of a construction a bidding. More examples and templates are included in the software. Free download it here: Flowchart Maker.